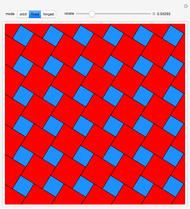 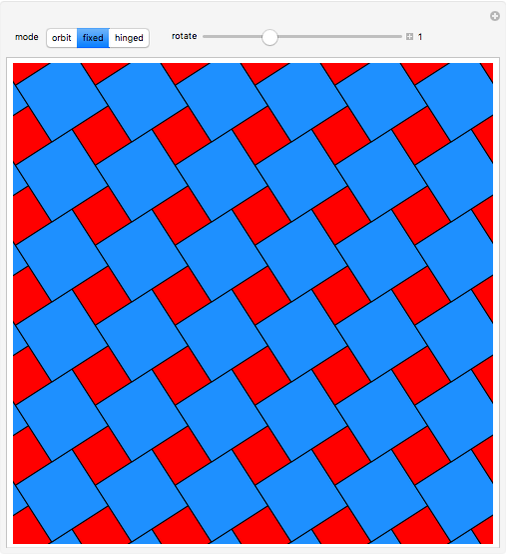 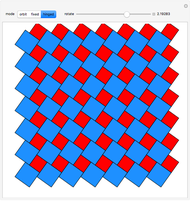 This Demonstration shows the rotation of tilings containing squares of two different sizes. 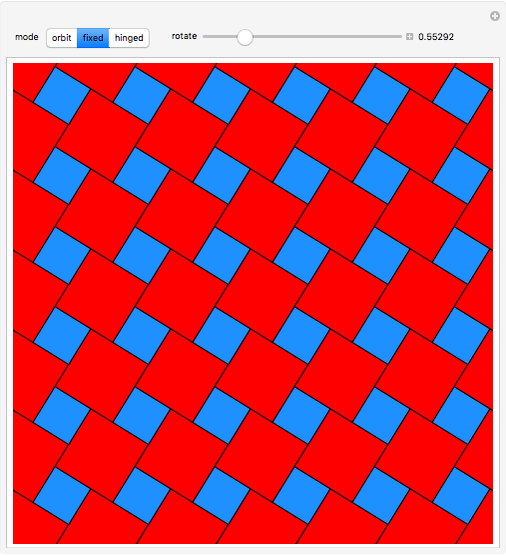 "orbit"—the tiles orbit around the center of the image. 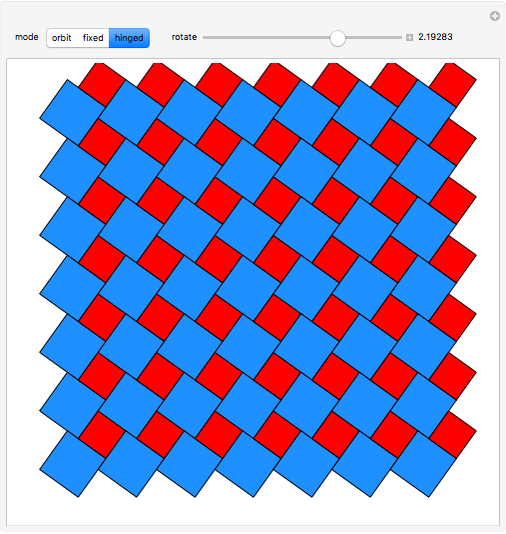 "hinged"—each tile rotates around a specific hinged vertex. Dieter Steemann "Rotating Square Tilings"